This page has been supeseded by this page. Following elections at the IHEU General Assembly in New York City in April 2006, IHEU has a new President and Executive Committee. The new President, Sonja Eggerickx, is based in Ghent, Belgium and is also President of IHEU Member Organisation Unie Vrijzinnige Verenigingen, the federation of Flemish Humanist organisations in Belgium. Sonja, who is professionally a Senior Schools Inspector in Moral Education, is coordinator of the IHEU’s Women’s Network and takes a keen interest in educational matters. Larry Jones becomes First Vice President. He is based in Albany, New York, USA and is also founder-President of IHEU Member Organisation the Institute for Humanist Studies. 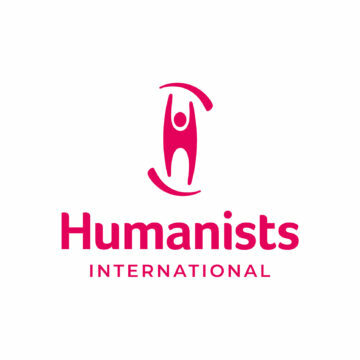 Larry, who retired as a Chemist at General Electric, takes a keen interest in building capacity of Humanist organisations the world over and has established the IHS Grants programme which gives nearly USD 150,000 every year in support of Humanist projects. Newly elected to the Executive Committee as a Vice President is Roar Johnsen. He has a degree in Marketing and Administration. For the last ten years, he has been a consultant specializing in IT Service Management. He has been active in IHEU Member Organization Norwegian Humanist Association since 1979. On the local level, he has worked on the NHA radio program for six years and been editor for one year, was editor of the local quarterly magazine for six years and served as chair of the executive committee from 1992 to 1996. On a national level, he served on the Executive Committee from 1981 to 1985 and again since 1999. He has been President of NHA since 2002. He has participated in four IHEU world congresses, and was organizer of the 1986 Oslo Congress. Rob Buitenweg was re-elected to the Executive Committee as a Vice President for a further three-year term. Roy Brown steps down as President to chair IHEU’s Growth and Development Committee.